A church in Charlotte’s Belmont neighborhood just outside of uptown was recently sold to a buyer with a long-term intention of redeveloping the property for commercial uses. Seigle Avenue Presbyterian Church sold 12 parcels totaling 2.8 acres at the intersection of 10th Street and Seigle Avenue to PBRM-Overlook Two LLC, an entity affiliated with development management company RKM Development. The parcels were sold for $3 million in a transaction that closed Nov. 18. 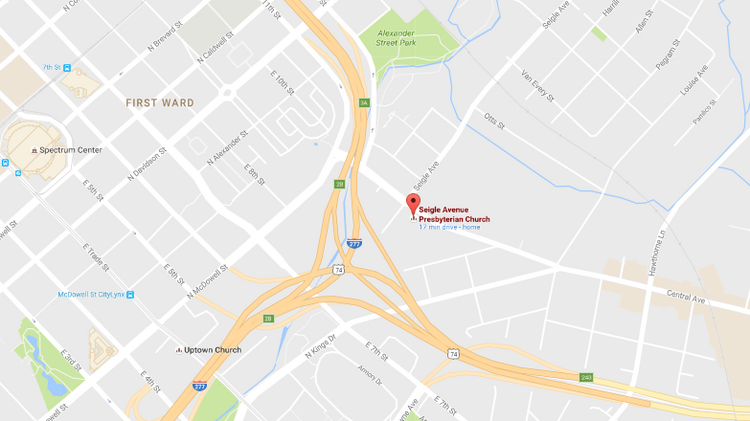 This screen shot of a Google maps marker shows the location of Seigle Avenue Presbyterian Church just outside the Interstate 277 loop in Charlotte. Randy Martin of RKM said Thursday that the site will eventually be redeveloped. In the interim, Martin plans to renovate and lease the 14,000-square-foot church building, which he said is suitably designed for a day care and can be broken up for multiple tenants. Seigle Avenue Presbyterian previously indicated it would use proceeds from selling the property to build a new facility elsewhere. Martin said he’s in talks with interested parties on long-term commercial or apartment redevelopment. “The redevelopment (will) likely be office because I think there’s a need in the Plaza Midwood and Belmont area,” Martin said, adding there’s hardly any new office space in the neighborhood. He indicated the site could be suitable for 50,000 to 70,000 square feet of space. Redevelopment would likely occur over the next three to five years. The Seigle Avenue Presbyterian site was under contract earlier this year to Alliance Residential Co., a multifamily developer based in Phoenix that opened a Charlotte office earlier this year. The developer had plans for 10 single-family rental homes, an apartment building with 264 units and 3,500 square feet of street-level retail. 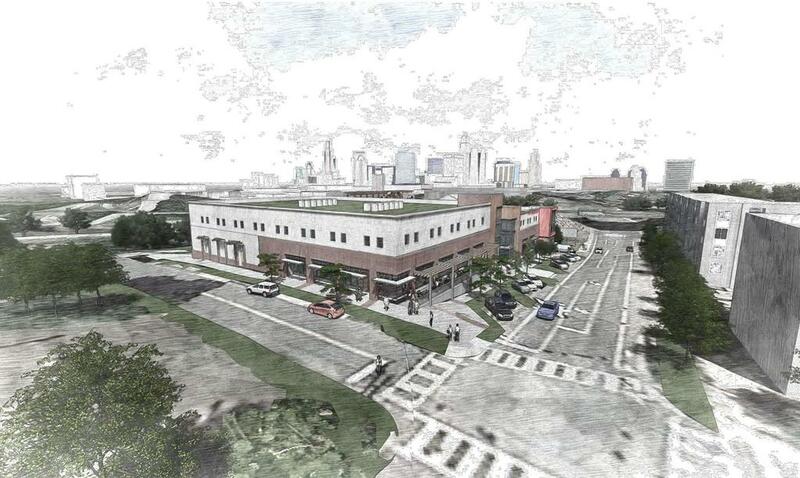 Alliance withdrew its rezoning petition for the site earlier this year, but declined comment on why. Tenth and Seigle is seeing a fair share of real estate activity. Directly across the street from the church site, the former Midwood Goods building has been demolished to make way for Pamlico Investments’ 117,000-square-foot mixed-use self-storage project. And RED Partners is marketing nearly 6.6 acres at the same intersection, next to Piedmont Open IB Middle School, a site zoned for mixed-use development. The intersection’s direct connection to uptown and a future Cross Charlotte trail that will run through the backside of Pamlico’s property are “very positive” for redevelopment prospects, Martin said. Across from Seigle Avenue Presbyterian Church, Pamlico Investments has proposed a 150,00-square-foot, five-story development at the intersection of East 10th Street and Seigle Avenue. It would include 10,000 dquare feet of non-storage uses on the ground floor, including retail, with climate-controlled self storage units above it.